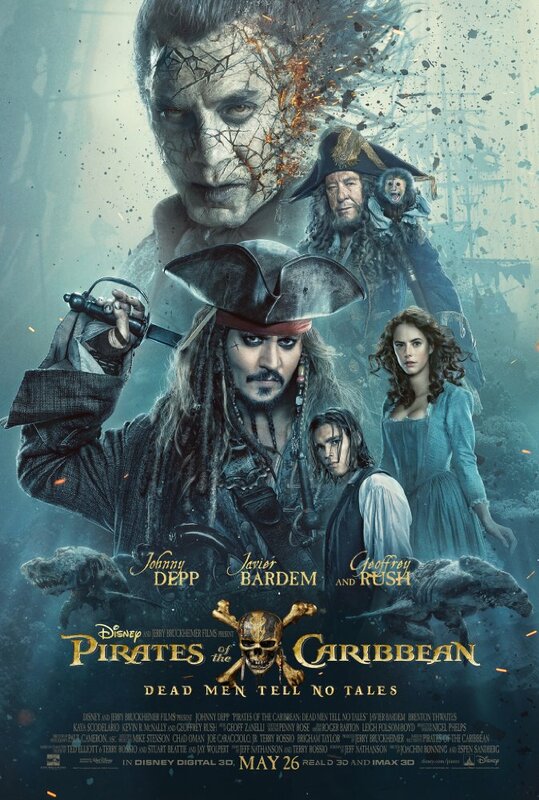 There are four things that brought me to the Wednesday evening screening of Pirates of the Caribbean: Dead Men Tell No Tales: Gore Verbinski’s legacy, Hans Zimmer, nostalgic feelings of the old and good times, and Jack Sparrow. These four elements, to me, was an important piece to solve a bigger puzzle, whether Kon Tiki’s directors Joachim Ronning and Espen Sandberg can revive the beloved franchise or not. Surprisingly, they were able to, with a bit of struggle in the beginning, but then right after that it was an absolutely insane ride like in the express train. Like me, I hope you will also enjoy watching how an old but ageless character returns to the big screen stronger than ever. Henry Turner, the son of Elizabeth Swan and Will Turner promises to his father to break the spell and bring him home. For that however, he will be needing Jack Sparrow (Johnny Depp), a little boy believes can help. Years pass by, Henry is no longer a boy, but Jack Sparrow remains the same person: mostly drunk, funny, unfortunate, but still loyal to himself and what he believes in. But that’s why we like him, don’t we? However, there are a few things the ill-fortuned captain must take care of first: to find the legendary Trident of Poseidon if he wants to escape death from a deadly ghost, his old nemesis, Captain Salazar (Javier Bardem) or not to get beheaded by Scarfield (David Wenham). As the story unfolds, Jack Sparrow, as is the case usually, finds himself in so many hilarious situations you really feel like how much you missed him. Because I did, his charm and charismatic look, his confidence, and sometimes childish naivetés, where he always thinks there is nothing that can harm him at all. But this time, thanks to CGI, we travel back in time where you will glance at younger Sparrow to learn why Captain Salazar wants Sparrow’s death. You see even then where that boldness in him came from. But what will annoy you though in the beginning, is the appearance of Henry Turner and Carina Smyth, aka a newer generation of The Caribbean who are not acceptable as Keira Knightley or Orlando Bloom. As there was an obvious trouble with developing the story, the first half an hour was the longest one. There was fear that the other hour and half could be the same, but luckily, that concern quickly disappears and the rest of the time you just enjoy the movie you paid for to see. What I would like to emphasize in my review, which I don’t do often, is the technical aspect of the film. Visual effects, stunts, and split ocean were on top of the game. It was nice seeing how much money was spent for Dead Mean Tells No Tales that, honestly, nobody would mind to see it again on the big screen. As for the performance, Johnny Depp is in great form, as usual. The iconic character he performs will live as long as Depp’s legacy lives. Means, Jack Sparrow will never die on or off screen. Multinational cast included Paterson‘s Golshifteh Farahani, which I would hope to have more of in the film. Her character was interesting, but had potential to be told more but was cut short. In conclusion, despite some negative aspects of the film that I have already mentioned, Pirates of the Caribbean is worthwhile. Its soundtrack alone will make you run to the closest theater, as there is nothing better than listening to Hans Zimmer’s masterpiece, while Jack and his friends try to save their little world. To conclude that, there will be a feeling of happiness by the time when you reach to the end of the film when your patience will be rewarded in a way I am sorry can’t tell you here. But trust me on that, you would not like to miss it or the closing credit, which hints that soon, very soon, we’ll be having more Sparrows than before.